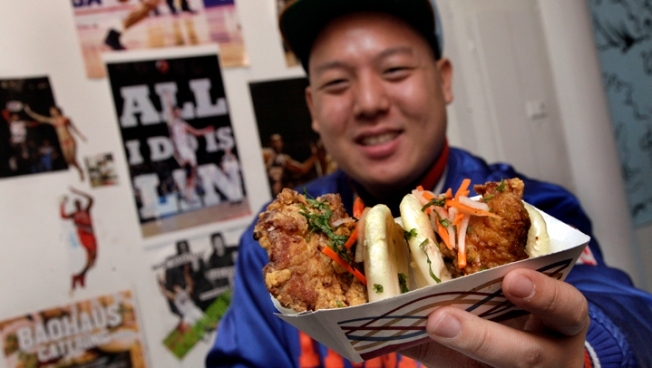 1st Look Loves: Eddie Huang's New Memoir "Fresh Off the Boat"
Baohaus restaurant’s chef/owner Eddie Huang’s new memoir "Fresh Off the Boat" is out now. Baohaus restaurant’s badass chef/owner Eddie Huang’s new memoir "Fresh Off the Boat" is out now—-this is a must-read for anyone interested in a brutally honest, hilarious work. Huang details his unconventional immigrant background and the beginning of his immersion in food in his father’s restaurant in Orlando, Florida, defying every “model minority” stereotype along the way: he obsessed over football, fought the All-American boys who called him a chink, partied hard, sold drugs with his crew, and idolized Tupac. His anchor through it all was food, from making Southern ribs with the Haitian cooks in his dad’s restaurant to preparing traditional meals in his mother’s kitchen to haunting the midnight markets of Taipei when he was shipped off to the homeland. After misadventures as an unlikely corporate lawyer (“Yo, I was the president of the Minority Law Students Alliance [at Yeshiva University],....it was ill”), street fashion renegade (he moved a lot of sneakers), and stand-up comic using the stage name Magic Dong Huang, he finally threw everything he loved—past and present, family and food—into his own restaurant. Huang possesses an original merciless wit, and the pages of his book crackle with his spirited, reflective writing, making this more than just another foodie memoir. It is wholly unsurprising how Huang has stormed the food world and made mediaites prick up with his incisive cultural commentary, take-no-prisoners opinions, and very, very funny lens on the world — the New York Times reports that Huang will be giving a TED Talk later this year on “the shifting waltz between authenticity and ethnicity”. Yep, the Human Panda will bring his game to TED. Check out Huang’s popular blog and for more from HuangWorld get to Baohaus.